Starbucks was designed by Terry Heckler of Heckler Associates. This logo represents mermaid. The re-​​design was carried out by international branding firm Lippincott. 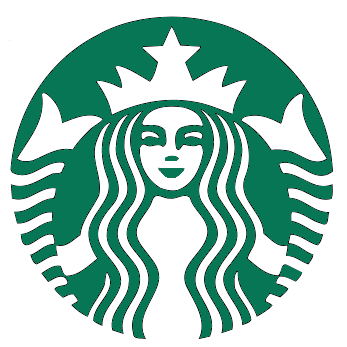 New Starbucks logo design is more simple, and it has more technique of ambiquity of positive and negative space by removing letters around mermaid. Even This logo becomes an iconic that no longer needs a name. It shows the power of symbolism and brand recognition during 40 years.